But in their new study, geologists Dr. Robert Craddock and Dr. Ralph Lorenz show that there was rainfall in the past – and that it was heavy enough to change the planet’s surface. To work this out, they used methods tried and tested here on Earth, where the erosive effect of the rain on the Earth’s surface has important impacts on agriculture and the economy. “Many people have analyzed the nature of rainfall on the Earth, but no one had thought to apply the physics to understanding the early Martian atmosphere,” said Dr. Craddock of the Smithsonian Institution. “By using basic physical principles to understand the relationship between the atmosphere, raindrop size and rainfall intensity, we have shown that Mars would have seen some pretty big raindrops that would have been able to make more drastic changes to the surface than the earlier fog-like droplets,” commented Dr. Lorenz of Johns Hopkins APL, who has also studied liquid methane rainfall on Saturn's moon Titan, the only other world in the solar system apart from Earth where rain falls onto the surface at the present day. 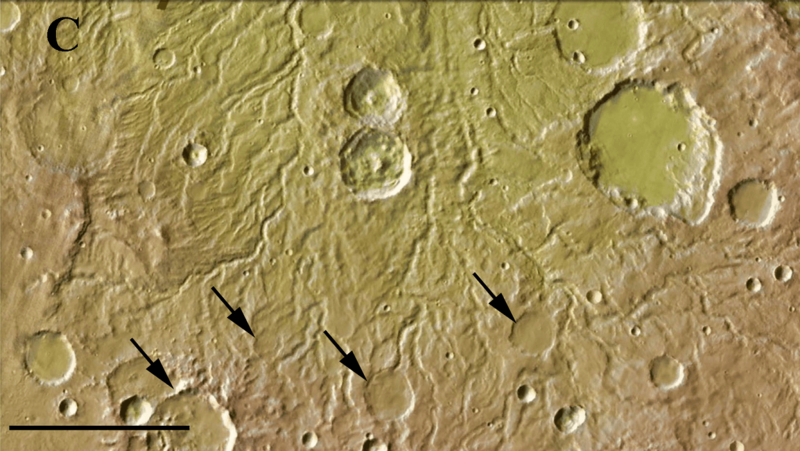 The article is "The changing nature of rainfall during the early history of Mars," by Robert A. Craddock and Ralph D. Lorenz (https://doi.org/10.1016/j.icarus.2017.04.013). It appears in Icarus, volume 293, (September 2017), published by Elsevier. Icarus is devoted to the publication of original contributions in the field of Solar System studies. Manuscripts reporting the results of new research - observational, experimental, or theoretical - concerning the astronomy, geology, meteorology, physics, chemistry, biology, and other scientific aspects of our Solar System or extrasolar systems are welcome.